The Vanguard team had the opportunity to get an up-close look at Boeing’s new Maritime Security Aircraft (MSA) on July 28. The MSA landed at a private terminal in Ottawa and opened up for a select number of journalists. Boeing’s MSA on display in Ottawa. Canada is currently using the CP-140 Aurora for MSA purposes, along with a host of other uses. And although the Aurora has served the country well, it has also done so for decades. The government has invested a considerable amount of money to modernize a select number of aircraft in this fleet, and it anticipates that the Auroras will be able to hold-out until they hit the half-century mark, sometime between 2025 and 2030. This is where Boeing’s MSA comes in. Boeing isn’t promoting the MSA as a replacement for the Auroras; they have another aircraft — the P-8 Poseidon — which could be fielded in a replacement competition if the company chooses to do so. The MSA is an aircraft that could operate in cooperation with the Auroras, offering advanced, proven ISR capabilities already fielded on American P-8, AWACS and AEW&C aircraft. Why would Canada be interested? The easy answer is cost. Boeing chose to base the MSA on the popular Canadian business jet platform, the Bombardier Challenger 605. Compared to the much larger Aurora, the MSA is cheaper to maintain, operate, and has a much larger parts supply base from which to draw from. That also means less downtime. Although the MSA can provide a more economical alternative for surveillance, EEZ (Economic Exclusion Zone) patrol, overland ISR (Intelligence, Surveillance, Reconnaissance), long range search and rescue and other strategic missions, one of the reasons the aircraft is considered complimentary to the Aurora — and not an outright replacement — is because it lacks any ASW (Anti-Sub Warfare) capabilities. The Aurora is a weaponized aircraft, capable of launching torpedoes, and its increased fuel capacity also better suits it for longer flights over the ocean. 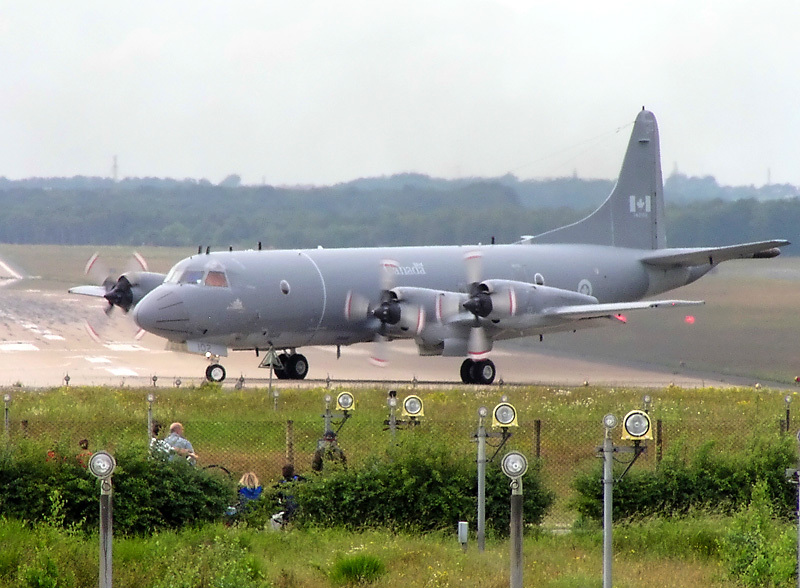 One of Canada’s CP-140 Auroras. The aircraft are expected to be in service until 2030. For the “home game,” however, it’s hard to argue with the performance of the MSA. The model being showcased on July 28 actually began its life as a jet for Boeing execs, and was later customized into its current form by Field Aviation, another Canadian company. 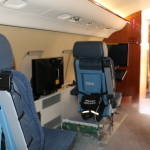 Inside the aircraft, the MSA offers up a versatile interior capable of being reconfigured for simultaneous or standalone surveillance, executive transport and/or Medevac capabilities. 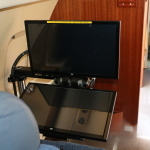 Its P-8 derivative mission system, running on dual-screen, multi-touch mission crew workstations, can be folded up-and-away when not required, creating additional space within the cabin. An interior shot of the MSA. Future production models will look a little less ‘executive’ and a little more military. The MSA’s dual-screen multi-touch mission crew workstations. The Canadian government has been promoting the cost-savings associated with off-the-shelf defence equipment purchases for years, and it’s clear that Boeing has been listening. 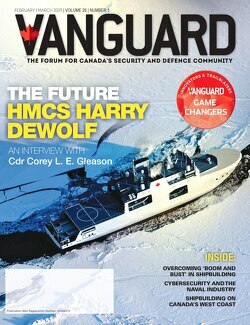 Although ASW capability will (and should) remain within the Royal Canadian Air Force, serious consideration needs to be put towards the simple fact that, in all likelihood, we won’t be needing it anytime soon. In the future, a mixed fleet might make a lot of sense. Airships over American skies, permanently? Pretty interesting what Boeing and their partners are up to. Great shots by the way.